With plenty of moving services, Meathead Movers is fully prepared to make Oceanside your new home. Our clean-cut student athlete movers are dedicated to fulfilling all your moving needs efficiently. Situated along the idyllic coastline in southern California, Oceanside is a beach lover’s dream. While Oceanside attracts visitors from around the world, over 180,000 people call Oceanside home. For individuals and families considering making Oceanside their residence, it is important to know the city and the best Oceanside movers to get the job done. Historically, the area was inhabited by Native Americans and then eventually transitioned from Spanish to Mexican rule before finally being incorporated into the United States in 1848. Since then, Oceanside has become known for its beaches and the communities still anchored to them. The local pier has been around since 1888 and is currently the longest wooden pier on the western seaboard. Oceanside is also home to the California Surf Museum. Each year, Oceanside hosts a vibrant Day of the Dead celebration. Due to its scenic qualities and overall accessibility, Oceanside has served as the backdrop for numerous TV shows and movies. With all of these attractions, it is clear that Oceanside is a wonderful place to live. 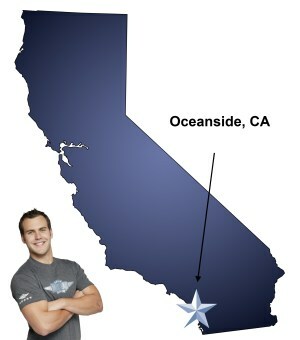 However, picking the best Oceanside movers is just as important. While there are numerous moving companies in the area, none can rival Meathead Movers. We offer a complete array of moving services, such as packing, storage, on-site relocations, and our distinctive moving concierge service, which connects you with local service providers. Because no two moves are alike, Meathead Movers can easily cater to any need. This local, long-distance, and commercial moves. These quality services are not the only reasons to trust Meathead Movers. We take pride in being a distinctive option, offering top of the line services with integrity. We have rigorous employee standards, including extensive training in our Meathead University and a smoke and drug free policy. Because of this, our student-athlete movers are professional and capable. To prove Meathead Movers go the extra mile, all of our movers jog when they are not carrying your items, which save you valuable time. Moving to Oceanside? Here are some helpful resources. Pleasant and professional service with a smile ??! Keeping me updated on things. Reminders about the move and what to expect. Names and pictures of the packers and the movers was excellent security! Great communication with everything! A person cannot go wrong using this company! Customer oriented. Worked with me with several changes with my move. Prompt reminders. Princess packer was wonderful. Teams sent to pack and load were pleasant and efficient. I would recommend this company to all! Your movers are excellent! Very careful, but fast and efficient. I also love the business model for employing student athletes. Great story, great service. Good business model; well trained employees. Great all around service.